Most other workers unless specifically excluded from workers’ compensation. 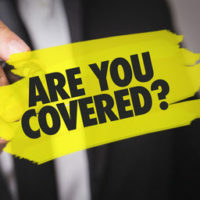 So Who is Not Covered? The following employees, individuals, and volunteers are likely not covered by workers’ compensation. However, if you were injured on any type of job, it is worth contacting an attorney to find out if you are eligible for any type of compensation. Note that this is not an exhaustive list and if your form of employment is not on the above list or the following list, you may be covered under another form of workers’ compensation (for example, if you are a firefighter). Volunteers: Volunteers of a non-profit cannot receive workers’ compensation benefits. For example, if you were volunteering for your child’s public school trip and fell down a flight of stairs and fractured your hip, you would not be able to receive medical benefits. While compensation does include perks such as hotel rooms and other items that do have monetary value, any perks, room and board, or money that is received to offset the cost of the volunteering to the volunteer does not count as compensation for services or a stipend. However, if you were volunteering for a for-profit organization and were injured while performing your duties, you are covered by workers’ compensation. Some volunteers for the State of New York are also covered by workers’ compensation. Religious figures such as ministers, rabbis, sextons, priests, Christian Science readers, and other members of religious orders are not covered by New York’s workers’ compensation program. Of course, if you work for a church or religious group and hold another form of employment and are injured at that job, you would be eligible for workers’ compensation from that employer. Those employed in non manual activities are also not covered. Supervised amateur athletes competing in athletic activities of nonprofit organizations are not eligible for workers’ compensation benefits provided that they are not employed by a person, business, or firm that is also engaged in that athletic activity. Teachers employed by a nonprofit educational, religious, or charitable institution. Whether you are unsure of whether or not your employment falls under protection of workers’ compensation or not, if you were injured on the job, call the White Plains Law Office of Michael Lawrence Varon today. We are eager to help you with your case.